We have part of the solution. Some bacteria at sewage treatment plants thrive, becoming extra-hardy and resistant to antibiotics, a new study shows. These "super" bugs remain in wastewater and wind up in the environment. The Artemis Project™ award distinguishes Ioteq as a leading company that is helping to build one of the great high-growth industries of the 21st Century. The Artemis Project is proud to announce the winners of its first annual Top 50 Water Companies Competition. This award distinguishes advanced water and water-related technology companies as leaders in their trade for helping to build water into one of the great high-growth industries of the 21st Century. The companies were selected by a panel of experts based on an integrated matrix of four criteria: technology, intellectual property and know-how, team and market potential. Congratulations to each of the The Artemis Project's Water Top 50! People in the U.S. consume an average 240 micrograms (µg) of iodine a day. In contrast, people in Japan consume more than 12 milligrams (mg) of iodine a day (12,000 µg), a 50-fold greater amount. They eat seaweed, which include brown algae (kelp), red algae (nori sheets, with sushi), and green algae (chlorella). 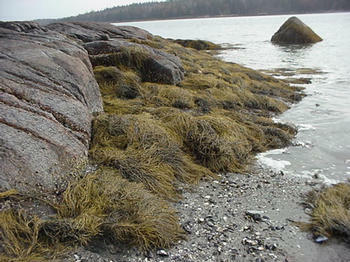 Compared to terrestrial plants, which contain only trace amounts of iodine (0.001 mg/gm), these marine plants have high concentrations of this nutrient (0.5–8.0 mg/gm). When studied in 1964, Japanese seaweed consumption was found to be 4.5 grams (gm) a day and that eaten had a measured iodine concentration of 3.1 mg/gm of seaweed (= 13.8 mg of iodine). According to public health officials, mainland Japanese now consume 14.5 gm of seaweed a day (= 45 mg of iodine, if its iodine content, not measured, remains unchanged). Researchers have determined that residents on the coast of Hokkaido eat a quantity of seaweed sufficient to provide a daily iodine intake of 200 mg a day. Saltwater fish and shellfish contain iodine, but one would have to eat 15–25 pounds of fish to get 12 mg of iodine. Health comparisons between the two countries are disturbing. The incidence of breast cancer in the U.S. is the highest in the world, and in Japan, until recently, the lowest. Japanese women who emigrate from Japan or adopt a Western style diet have a higher rate of breast cancer compared with those that consume seaweed. Life expectancy in the U.S. is 77.85 years, 48th in 226 countries surveyed. It is 81.25 years in Japan, the highest of all industrialized countries and only slightly behind the five leaders – Andorra, Macau, San Marino, Singapore, and Hong Kong. The infant mortality rate in Japan is the lowest in the world, 3.5 deaths under age one per 1,000 live births, half the infant mortality rate in the United States. Today 1 in 7 American women (almost 15 percent) will develop breast cancer during their lifetime. Thirty years ago, when iodine consumption was twice as high as it is now (480 µg a day) 1 in 20 women developed breast cancer. Iodine was used as a dough conditioner in making bread, and each slice of bread contained 0.14 mg of iodine. In 1980, bread makers started using bromide as a conditioner instead, which competes with iodine for absorption into the thyroid gland and other tissues in the body. Iodine was also more widely used in the dairy industry 30 years ago than it is now. Now iodized table salt is the chief source of iodine in a Western diet. But 45 percent of American households buy salt without iodine, which grocery stores also sell. And over the last three decades people who do use iodized table salt have decreased their consumption of it by 65 percent. Furthermore, the much higher concentrations of chloride in salt (NaCl) inhibits absorption of its sister halogen iodine (the intestines absorb only 10 percent of the iodine present in iodized table salt). As a result, 15 percent of the U.S. adult female population suffers from moderate to severe iodine deficiency, which health authorities define as a urinary iodine concentration less than 50 µg /L. Women with goiters (a visible, noncancerous enlargement of the thyroid gland) owing to iodine deficiency have been found to have a three times greater incidence of breast cancer. A high intake of iodine is associated with a low incidence breast cancer, and a low intake with a high incidence of breast cancer. Animal studies show that iodine prevents breast cancer, arguing for a causal association in these epidemiological findings. The carcinogens nitrosmethylurea and DMBA cause breast cancer in more than 70 percent of female rats. Those given iodine, especially in its molecular form as I2, have a statistically significant decrease in incidence of cancer. Other evidence adding biologic plausibility to the hypothesis that iodine prevents breast cancer includes the finding that the ductal cells in the breast, the ones most likely to become cancerous, are equipped with an iodine pump (the sodium iodine symporter, the same one that the thyroid gland has) to soak up this element. Similar findings apply to fibrocystic disease of the breast. The incidence of fibrocystic breast disease in American women was 3 percent in the 1920s. Today, 90 percent of women have this disorder, manifested by epithelial hyperplasia, apocrine gland metaplasia, fluid-filled cysts, and fibrosis. Six million American women with fibrocystic disease have moderate to severe breast pain and tenderness that lasts more than 6 days during the menstrual cycle. In animal studies, female rats fed an iodine-free diet develop fibrocystic changes in their breasts, and iodine in its elemental form (I2) cures it. Russian researchers first showed, in 1966, that iodine effectively relieves signs and symptoms of fibrocystic breast disease. Vishniakova and Murav’eva treated 167 women suffering from fibrocystic disease with 50 mg KI during the intermenstrual period and obtained a beneficial healing effect in 71 percent (it is reference 49 here). Then Ghent and coworkers, in a study published in the Canadian Journal of Surgery in 1993, likewise found that iodine relieves signs and symptoms of fibrocystic breast disease in 70 percent of their patients. This report is a composite of three clinical studies, two case series done in Canada in 696 women treated with various types of iodine, and one in Seattle. The Seattle study, done at the Virginia Mason Clinic, is a randomized, double-blind, placebo-controlled trial of 56 women designed to compare 3–5 mg of elemental iodine (I2) to a placebo (an aqueous mixture of brown vegetable dye with quinine). Investigators followed the women for six months and tracked subjective and objective changes in their fibrocystic disease. Most physicians and surgeons view iodine from a narrow perspective. It is an antiseptic that disinfects drinking water and prevents surgical wound infections, and the thyroid gland needs it to make thyroid hormones – and that’s it. (When painted on the skin prior to surgery, tincture of iodine kills 90 percent of bacteria present within 90 seconds.) The thyroid gland needs iodine to synthesize thyroxine (T4) and triiodothyronine (T3), hormones that regulate metabolism and steer growth and development. T4 contains four iodine atoms combined with 27 other atoms of carbon, hydrogen, oxygen, and nitrogen, but owing to its large size accounts for 65 percent of the molecule’s weight. (T3 has three iodine atoms.) The thyroid needs only a trace amount of iodine, 70 µg a day, to produce the requisite amount of T4 and T3. For that reason thyroidologists say that iodine is best taken just in microgram amounts. They consider consuming more than 1 to 2 mg of iodine a day to be excessive and potentially harmful. Expert opinion on iodine is now the purview of thyroidologists. Mainstream physicians and surgeons accept their thyroid-only view of iodine and either ignore or discount studies that show iodine in larger amounts provides extrathyroidal benefits, particularly for women’s breasts. Thus a leading textbook on breast disease, Bland and Copeland’s The Breast: Comprehensive Management of Benign and Malignant Disorders (2003), fails to mention iodine anywhere in its 1,766 pages. Iodine has an important and little understood history. This relatively scarce element has played a pivotal role in the formation of our planet’s atmosphere and in the evolution of life. For more than two billion years there was no oxygen in the atmosphere until a new kind of bacteria, cyanobacteria (blue-green algae), began producing oxygen as a byproduct of photosynthesis. Cyanobacteria also developed an affinity for iodine. The most likely reason is that these organisms used iodine as an antioxidant to protect themselves against the free radicals that oxygen breeds (superoxide anion, hydrogen peroxide, and hydroxyl radical). Studying kelp, researchers have shown how iodine does this and have found that kelp will absorb increased amounts of iodine when placed under oxidative stress. Other researchers have shown that iodine increases the antioxidant status of human serum similar to that of vitamin C.
Iodine also induces apoptosis, programmed cell death. This process is essential to growth and development (fingers form in the fetus by apoptosis of the tissue between them) and for destroying cells that represent a threat to the integrity of the organism, like cancer cells and cells infected with viruses. Human lung cancer cells with genes spliced into them that enhance iodine uptake and utilization undergo apoptosis and shrink when given iodine, both when grown in vitro outside the body and implanted in mice. Its anti-cancer function may well prove to be iodine’s most important extrathyroidal benefit. Iodine has other extrathyroidal functions that require more study. It removes toxic chemicals – fluoride, bromide, lead, aluminum, mercury – and biological toxins, suppresses auto-immunity, strengthens the T-cell adaptive immune system, and protects against abnormal growth of bacteria in the stomach. In addition to the thyroid and mammary glands, other tissues possess an iodine pump (the sodium/iodine symporter). Stomach mucosa, the salivary glands, and lactating mammary glands can concentrate iodine almost to the same degree as the thyroid gland (40-fold greater than its concentration in blood). Other tissues that have this pump include the ovaries; thymus gland, seat of the adaptive immune system; skin; choroid plexus in the brain, which makes cerebrospinal fluid; and joints, arteries and bone. Today’s medical establishment is wary of iodine (as they are of most naturally occurring, nonpatentable, nonpharmaceutical agents). Thyroidologists cite the Wolff-Chaikoff effect and warn that TSH (thyroid stimulating hormone) blood levels can rise with an iodine intake of a milligram or more. The Wolff-Chaikoff effect, a temporary inhibition of thyroid hormone synthesis that supposedly occurs with increased iodine intake, is of no clinical significance. And an elevated TSH, when it occurs, is "subclinical." This means that no signs or symptoms of hypothyroidism accompany its rise. Some people taking milligram doses of iodine, usually more than 50 mg a day, develop mild swelling of the thyroid gland without symptoms. The vast majority of people, 98 to 99 percent, can take iodine in doses ranging from 10 to 200 mg a day without any clinically adverse affects on thyroid function. The prevalence of thyroid diseases in the 127 million people in Japan who consume high amounts of iodine is not much different than that in the U.S.
Everyone agrees that a lack of iodine in the diet causes a spectrum of disorders that includes, in increasing order of severity, goiter and hypothyroidism, mental retardation, and cretinism (severe mental retardation accompanied by physical deformities). Health authorities in the U.S. and Europe have agreed upon a Reference Daily Intake (RDI), formerly called the Recommended Dietary Allowance (RDA), for iodine designed to prevent these disorders, which the World Health Organization (WHO) estimates afflicts 30 percent of the world’s population. The RDI for iodine, first proposed in 1980, is 100–150 µg/day. Organizations advocating this amount include the American Medical Association, National Institutes of Health’s National Research Council, Institute of Medicine, United Nations Food and Agricultural Organization, WHO Expert Committee, and the European Union International Programme on Chemical Safety. These health authorities consider an RDI of 100–150 µg/day of iodine sufficient to meet the requirements of nearly all (97–98%) healthy individuals. This consensus on iodine intake flies in the face of evidence justifying a higher amount. This evidence includes animal studies, in vitro studies on human cancer cell lines, clinical trials of iodine for fibrocystic breast disease, and epidemiological data. An intake of 150 µg/day of iodine will prevent goiters and the other recognized iodine deficiency disorders, but not breast disease. Prevention of breast disease requires higher doses of iodine. Indeed, a reasonable hypothesis is that, like goiters and cretinism, fibrocystic disease of the breast and breast cancer are iodine deficiency disorders (also uterine fibroids). What Albert Guérard writes about new truths applies especially to iodine: "When you seek a new path to truth, you must expect to find it blocked by expert opinion." The reigning truth on iodine is that the thyroid gland is the only organ in the body that requires this micronutrient, and a daily intake considerably more than what the thyroid gland needs is potentially harmful. The new truth is that the rest of the body also needs iodine, in milligram, not microgram amounts. Tell that to a thyroidologist and her response will call to mind this admonition on new truths. These are the four most common formulations of inorganic (nonradioactive) iodine, as iodide (I-), and with or without molecular iodine (I2): Potassium iodide (KI) tablets, in doses ranging from 0.23 to 130 mg; super saturated potassium iodide (SSKI), 19–50 mg of iodide per drop; Lugol’s solution, 6.3 mg of molecular iodine/iodide per drop; and Iodoral, each tablet containing 12.5 mg iodine/iodide. Both Lugol’s solution and Ioderal are one-third molecular iodine (5%) and two-thirds potassium iodide (10%). Studies done to date indicate that the best iodine supplement is one that includes molecular iodine (I2), which breast tissue prefers. Regarding KI and other iodine salts (like sodium iodide), the venerated 11th edition of the Encyclopedia Britannica, published in 1911, states, "Their pharmacological action is as obscure as their effects in certain diseased conditions are consistently brilliant. Our ignorance of their mode of action is cloaked by the term deobstruent, which implies that they possess the power of driving out impurities from the blood and tissues. Most notably is this the case with the poisonous products of syphilis. In its tertiary stage – and also earlier – this disease yields in the most rapid and unmistakable fashion to iodides, so much so that the administration of these salts is at present the best means of determining whether, for instance, a cranial tumor be syphilitic or not." This 19th and early 20th century medicine continues to be used in gram amounts in the 21st century by dermatologists. They treat inflammatory dermatoses, like nodular vasculitis and pyoderma gangrenosum (shown here), with SSKI, beginning with an iodine dose of 900 mg a day, followed by weekly increases up to 6 grams a day as tolerated. Fungal eruptions, like sporotrichosis, are treated initially in gram amounts with great success. These lesions can disappear within two weeks after treatment with iodine. For many years physicians used potassium iodide in doses starting at 1.5 to 3 gm and up to more than 10 grams a day, on and off, to treat bronchial asthma and chronic obstructive pulmonary disease with good results and surprisingly few side effects. There is a case report in the medical literature of a 54-year-old man who, thinking it was iced tea, drank a "home preparation" of SSKI in water that his aunt kept in the refrigerator for her rheumatism. Over a short period of time he consumed 600 ml of this solution, which contained 15 gm of iodide, an amount 100,000 times more than the RDI. He developed swelling of the face, neck, and mouth, had transient cardiac arrhythmias and made an uneventful recovery. Dr. Guy Abraham, a former professor of obstetrics and gynecology at UCLA, mounted what he calls "The Iodine Project" in 1997 after he read the Ghent paper on iodine for fibrocystic disease. 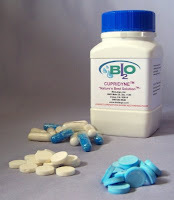 He had his company, Optimox Corp., make Iodoral, the tablet form of Lugol’s solution, and he engaged two family practice physicians, Dr. Jorge Flechas (in 2000) in North Carolina and Dr. David Brownstein (in 2003) in Michigan to carry out clinical studies with it. The project’s hypothesis is that maintaining whole body sufficiency of iodine requires 12.5 mg a day, an amount similar to what the Japanese consume. The conventional view is that the body contains 25–50 mg of iodine, of which 70–80 percent resides in the thyroid gland. Dr. Abraham concluded that whole body sufficiency exists when a person excretes 90 percent of the iodine ingested. He devised an iodine-loading test where one takes 50 mg and measures the amount excreted in the urine over the next 24 hours. He found that the vast majority of people retain a substantial amount of the 50 mg dose. Many require 50 mg a day for several months before they will excrete 90 percent of it. His studies indicate that, given a sufficient amount, the body will retain much more iodine than originally thought, 1,500 mg, with only 3 percent of that amount held in the thyroid gland. More than 4,000 patients in this project take iodine in daily doses ranging from 12.5 to 50 mg, and in those with diabetes, up to 100 mg a day. These investigators have found that iodine does indeed reverse fibrocystic disease; their diabetic patients require less insulin; hypothyroid patients, less thyroid medication; symptoms of fibromyalgia resolve, and patients with migraine headaches stop having them. To paraphrase Dr. Szent-Györgi, these investigators aren’t sure how iodine does it, but it does something good. Thyroid function remains unchanged in 99 percent of patients. Untoward effects of iodine, allergies, swelling of the salivary glands and thyroid, and iodism, occur rarely, in less than 1 percent. Iodine removes the toxic halogens fluoride and bromide from the body. Iodism, an unpleasant brassy taste, runny nose, and acne-like skin lesions, is caused by the bromide that iodine extracts from the tissues. Symptoms subside on a lesser dose of iodine. As these physicians point out, consuming iodine in milligram doses should, of course, be coupled with a complete nutritional program that includes adequate amounts of selenium, magnesium, and Omega-3 fatty acids. Done this way, an iodine intake 100 times the reference daily intake is "the simplest, safest, most effective and least expensive way to help solve the health care crisis crippling our nation," as the leader of The Iodine Project, Dr. Abraham, puts it. People who take iodine in these amounts report that they have a greater sense of well-being, increased energy, and a lifting of brain fog. They feel warmer in cold environments, need somewhat less sleep, improved skin complexion, and have more regular bowel movements. These purported health benefits need to be studied more thoroughly, as do those with regard to fibrocystic breast disease and cancer. Meanwhile, perhaps we should emulate the Japanese and substantially increase our iodine intake, if not with seaweed, then with two drops of Lugol’s Solution (or one Iodoral tablet) a day. Miller DW. Iodine in Health and Civil Defense. Presented at the 24th Annual Meeting of Doctors for Disaster Preparedness in Portland, Oregon, August 6, 2006. The text for this talk, with 68 references, can be found here, and the PowerPoint slides I used for it, here. Abraham GE. The safe and effective implementation of orthoiodosupplementation in medical practice. The Original Internist 2004;11:17–36. Available online here. This is a good introduction to The Iodine Project. His other research studies are online here. Flechas, JD. Orthoiodosupplementation in a primary care practice. The Original Internist 2005;12(2):89–96. Available online here. Brownstein D. Clinical experience with inorganic, non-radioactive iodine/iodide. The Original Internist 2005;12(3):105–108. Available online here. Derry D. Breast cancer and iodine: How to prevent and how to survive breast cancer. Victoria, B.C. : Trafford Publishing; 2002. The book is a bit disorganized, has references at the end of each chapter not cited in the text, and no index; but it is an eye-opener nonetheless. Brownstein D. Iodine: why you need it why you can’t live without it. West Bloomfield, Michigan: Medical Alternatives Press; 2004. Well-written and referenced, with case histories. Low DE, Ghent WR, Hill LD. Diatomic iodine treatment for fibrocystic disease: special report of efficacy and safety results. [Submitted to the FDA] 1995:1–38. Available online here. This study makes a strong case for iodine as the preferred treatment for fibrocystic disease. Controlling the bad ones and leaving the good ones behind is the real answer. The CDA publishes quite a bit of information about the Anti-Microbial capabilities of Copper. Copper and its alloys (brasses, bronzes, copper nickels, copper nickel zincs, and others) are inherently antimicrobial materials. Man exploited the antimicrobial attributes of copper long before the nineteenth century, when Louis Pasteur developed the germ theory of disease which states that infections are caused by microbes invading the human body. Egyptians used copper drinking vessels to sterilize water. The Hippocrates Collection, 460 to 380 B.C., to which the father of medicine contributed, recommends the use of copper for leg ulcers related to varicose veins. Pliny, 23 to 79 A.D., used copper oxide with honey to treat intestinal worms. The Aztecs gargled with a mixture containing copper to treat sore throats. In light of this history, modern researchers began exploring the antimicrobial properties of copper in a variety of settings. A recent study compared bacteria levels in water stored in brass (a copper alloy) vessels traditionally used in rural India to the water stored in earthenware vessels. In a 1983 study, bacteria levels were examined on brass and stainless steel doorknobs in a hospital. The results of these studies led researchers to initiate controlled studies using EPA-approved test protocols to qualify scientifically the antimicrobial properties of copper. U.S. EPA-approved testing demonstrates that, when cleaned regularly, Antimicrobial Copper Alloys kill 99.9% of the organisms listed below within two hours. Any reference to effectiveness against other organisms has not been proven by U.S. EPA-approved testing. Antimicrobial Copper Alloys are not registered or approved by U.S. EPA or FDA forcontrolling disease or the transmission of bacteria that can cause disease in humans. Copper alloy surface materials have been shown to reduce microbial contamination, but they do not necessarily prevent cross contamination. Antimicrobial Copper Alloys are a supplement to and not a substitute for good hygienic practices; users must continueto follow routine cleaning and disinfection practices. Antimicrobial Copper Alloys are not approved for use in food-contact or drinkingwater applications. 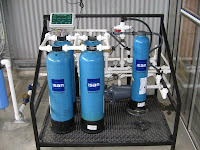 The Isan System is being used in Australia to disinfect drinking water for chicken to help manage this risk.